kiss engineering: Grand Designs: An Impediment to Sustainable Strategy? 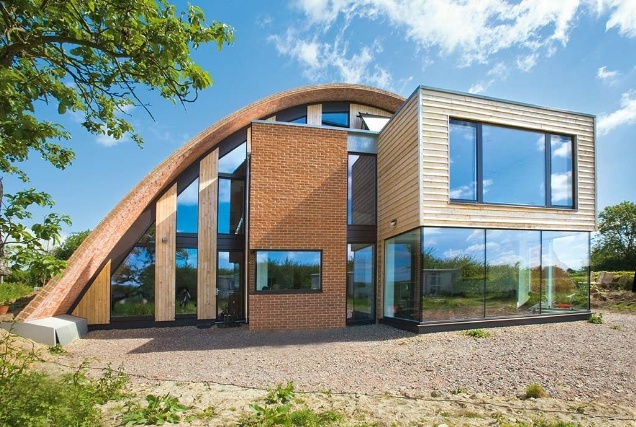 Grand Designs: An Impediment to Sustainable Strategy? In a word: no. It would be ridiculous to attribute Ireland not meeting its energy target to a television programme, however as a barometer of what people in the UK & Ireland aspire to, Grand Designs is pretty telling. public services and absolute traffic chaos. Sound familiar? So how does society address the problem - stop people flocking to suburbia, stop bungalow bliss? It's probably clear to anyone that isn't invested (either emotionally or financially) to the suburban lifestyle that more urban orientated lifestyles are the solution. So what do we do? Sanctions to those living unsustainably? Less services (be that public or private like broadband)? Threaten increased isolation? No - I agree with Nigel's conclusion: we make proper urban living superior. So that our young will choose it for its merits. Then the issue of stopping the problem of suburban sprawl becomes a transparent, inclusive marketing challenge, to show that the end result of urban living, in an apartment, is the way to go. Perhaps even glamorise it. How does one attach glamour to apartment living? I've toyed with the idea for a long time, trying to glamourise an apartment. But that's the wrong approach - we need to glamourise neighbourhoods & lifestyles. Look at our neighbours to the east - in London, districts sound cool - "such and such has a flat in Earlscourt". Or look west, and the lifestyle that Jerry Seinfeld enjoyed in Manhattan. Such ideals of life are obtainable... We have our very own Silicon Docks - why not celebrate the lifestyle enjoyed there? Show Irish people that our culture is adaptable to new lifestyles. As if there is one thing I notice from working with other cultures, we Irish are flexible and adaptable - why not embrace that adaptability to further a superior lifestyle? In Dublin, there is however an image problem to overcome. Historically, apartment living is plagued by memories of bad bedsits in Dublin 6 or along the North Circular Road, with scabby landlords, and not allowed to keep pets. This is a tough image to overcome. A friend lives with her family in a very smart purpose built apartment in south Dublin, which her parents do not acknowledge as being suitable as a home - a view possibly formed due to the parents own memories of bedsit living? So accordingly, a pragmatic approach should be taken: a break should be formed - only young people are suitable for urban living? There is also a more contemporary image problem to overcome - the Celtic tiger resulted in quite a few half completed apartment developments around Dublin city that never reached critical mass of occupancy density to afford the superior lifestyle (I still cannot understand why the Copper Bar location in the Beacon South Quarter development in Sandyford hasn't thrived), and are now targeted by predatory offshore institutional funds keen to cash in on high demand for any housing at present. It remains to be seen if recent government incentives to encourage greater supply of new housing will address the cost issue for new buyers, however it does have a lot of positive points going for it, that fit the urban living concept (as long as it's cheaper to develop in an urban setting than suburban). We have moved from needing a fireplace in our sitting rooms (with a transition period featuring fake fireplaces to soften the blow for us) so I believe we can do it. We just need to recognise the right time to do it - Ireland was undoubtedly ready for the Marriage Equality constitutional referendum in 2015. Now, with a tentative economic resurgence afoot, some decent building standards in place, a severe shortage of supply vs. demand for housing, and a more urbane youth with wordly experience due to cheap Ryanair flights - maybe we are ready for the great urban flight... I do believe that if we shake off our shackles of needing to own a house (just like if the Balinese could shake off their shackles of needing to see the sky) we could build a more advanced society, like some higher density cities such as Helsinki, Finland have. And Grand Designs can reinvent itself to take on more grand aspirations - high density urban neighbourhoods.